This got a chuckle out of me so I thought you might like it to. 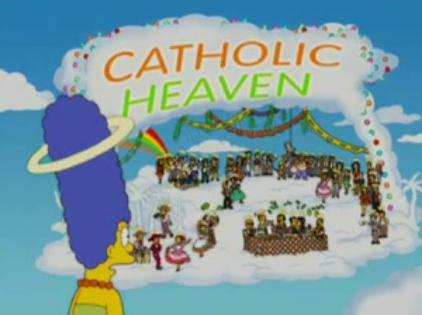 In a dream Marge sees Bart and Homer convert to the Catholic Church and go to Catholic heaven, leaving her behind in Protestant heaven, to her chagrin. Click HERE. This video contains our last pilgrimage Mass in Fatima (see/hear Archbishop Lucas’ final pilgrimage Homily here). Portions of our farewell dinner, lots of images and heartfelt comments and farewells.